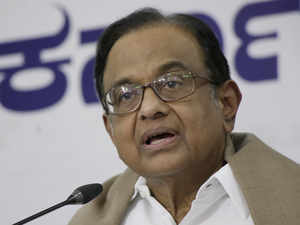 Business News›News›Politics and Nation›P Chidambaram credits Congress state finance ministers "for sorting out GST mess"
P Chidambaram credits Congress state finance ministers "for sorting out GST mess"
NEW DELHI: Congress leader and former Finance Minister P Chidambaram on Friday credited the finance ministers of his party in six states for sorting out "the mess" created by the government on GST implementation. 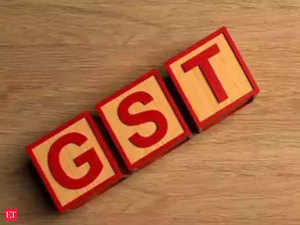 "GST Council is sorting out the mess created by the government, thanks to the active participation and wise advice of six Congress State Finance Ministers." "Decisions taken yesterday were largely because of the initiative taken by the Congress finance ministers," he tweeted. Decisions taken yesterday were largely because of the initiative taken by the Congress finance ministers. Chidambaram also said that the MSME sector has got some relief, "thanks to the role played by the Congress finance ministers." The MSME sector has got some relief thanks to the role played by the Congress finance ministers.